The Massachusetts Supreme Judicial Court upheld the right of candidates to solicit signatures on nomination papers at supermarkets located on private property. 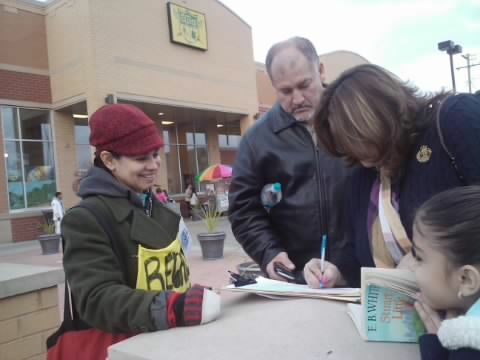 Steven Glovsky sought to solicit signatures for his nomination to the second district seat on the Governor’s Council on the sidewalk immediately outside the entrance to a supermarket owned by Roche Bros. Supermarkets, Inc. in Westwood, MA. The court observed that in many rural and suburban communities, the local supermarket may serve as one of the few places in which an individual soliciting signatures would be able to approach members of the public in large numbers. From the standpoint of a signature gatherer, there could hardly be a more ideal or efficient spot to conduct one’s business than the single entrance and exit of a supermarket or giant grocery store. The court went on to say that to deprive the candidate of access to the public where the assorted products have been consolidated under a single roof could “substantially impair” the fundamental rights protected by art. 9 of the Massachusetts Constitution. The supermarket invites the public at large to shop at its property and offers numerous amenities to attract a significant number of people with diverse needs and interests. You can read the details of the case by clicking here.